Police forces in some Canadian cities are offering heightened security after shootings at two mosques in Christchurch, New Zealand, left dozens dead and injured. 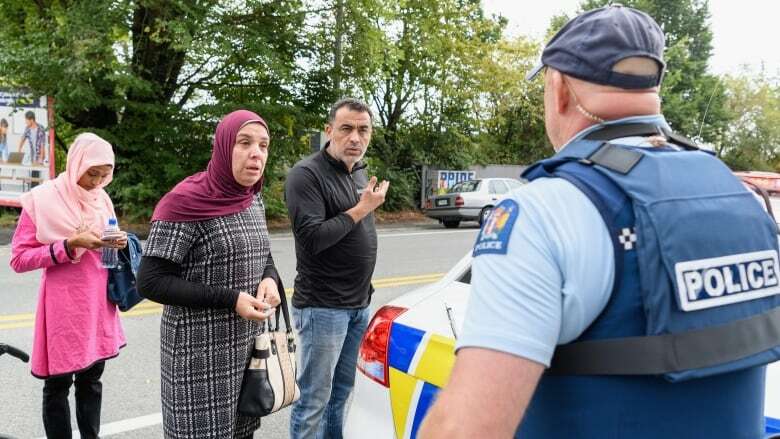 Police forces across the country are conducting heightened patrols near mosques and security agencies are trying to reassure Canadians after a shooting at two mosques in Christchurch, New Zealand left dozens dead and injured today. New Zealand Prime Minister Jacinda Ardern called Friday "one of New Zealand's darkest days." At least 49 people were killed and 20 seriously injured in shootings at the Al-Noor and Linwood mosques, which were filled with worshippers for Friday prayers. A man in his 20s has been charged with murder, said Mike Bush, New Zealand's police commissioner. Two other suspects are in custody as police work to determine what role they may have played in the attacks. Ardern said the national security threat level in New Zealand was being raised to its second-highest level. Public Safety Minister Ralph Goodale tweeted Friday that Canada's threat level remains unchanged, at "medium," in the wake of the shootings. Canada's national terrorism threat level has hovered at medium since October 2014 — meaning authorities believe a violent act of terrorism could happen in the near term. 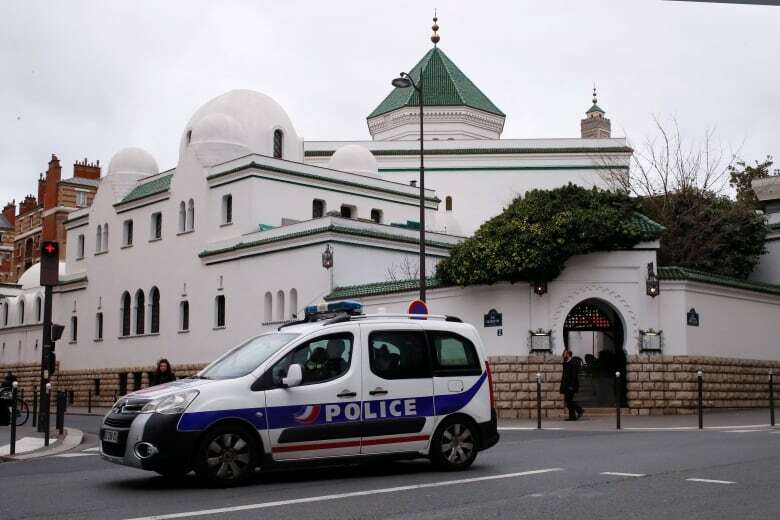 Police services in Quebec City — which endured a mosque attack two years ago that killed six people — and in Montreal, Gatineau, Que., Ottawa, Edmonton, Toronto, Saskatoon have all said they're providing extra security near mosques today. "We have no intelligence to suggest that any group in Ottawa is allied with the suspects in New Zealand, but the possibility of a copycat lone actor is always a concern," wrote police Ottawa Chief Charles Bordeleau in an open letter. A spokesperson for Goodale said Canada routinely shares intelligence with New Zealand and its other Five Eyes intelligence allies and is ready to help if needed. The Canadian Security Intelligence Service (CSIS) has "engaged and offered our full support — in any way needed — to our partners in New Zealand," said a CSIS spokesperson. "We are continually reassessing our operations and security measures we have in place to respond to the heightened global threat environment," said Tahera Mufti. "Canadians can rest assured that there is a strong and layered approach to national security and that CSIS, along with our domestic and international partners, vigilantly monitor potential threats and have robust measures in place to address them." The Communications Security Establishment (CSE), Canada's signals intelligence agency, said it has reached out to offer both condolences and operational assistance to its New Zealand counterpart, the Government Communications Security Bureau. "We're not able to provide any specific comments on operational activities offered by CSE to allied partners, though they would align with our legislated mandate," said spokesperson Evan Koronewski. Photos of the ammunition believed to belong to the suspect, which were posted on a Twitter account that has since been suspended, show the name 'Alexandre Bissonnette' — the 29-year-old who pleaded guilty to killing six men in the 2017 gun attack at the Quebec Islamic Cultural Centre — alongside the names of others who have committed race- or religion-based killings. Members of Quebec City's Muslim community said they're alarmed by this most recent attack. "When I heard the news, it hit like a ton of bricks," Mohammed Labidi, a co-founder and former president of the Quebec Islamic Cultural Centre, told Radio-Canada. "It brings up the pain that we experienced here." In a statement sent through his lawyers, Bissonnette said he's troubled to learn that his name has been linked to the New Zealand attack and that he never wanted anyone to imitate his actions. Bissonnette was sentenced last month to life in prison without possibility of parole for 40 years. He is appealing that decision. Prime Minister Justin Trudeau released a statement on Friday condemning the attack. Attacking people during prayers is absolutely appalling, and Canada strongly condemns today’s shootings in New Zealand. Our thoughts and hearts go out to the victims and their families, and we join New Zealanders and Muslim communities around the world in grieving. "Far too often, Muslims suffer unimaginable loss and pain in the places where they should feel safest. Canada remembers too well the sorrow we felt when a senseless attack on the Centre culturel islamique de Québec in Ste-Foy claimed the lives of many innocent people gathered in prayer," says the statement. "Canada condemns this attack, and will continue to work closely with New Zealand, our close partner and friend, and others to take action against violent extremism. Hate has no place anywhere. We must all confront Islamophobia and work to create a world in which all people — no matter their faith, where they live, or where they were born — can feel safe and secure." NDP Leader Jagmeet Singh echoed those sentiments online. "Islamophobia kills — and has no place anywhere in the world." Conservative Leader Andrew Scheer called the attack "a despicable act of evil" — but he's being heavily criticized online for not using the words "Muslim" or "mosque" in his statement on the attack. Andrew MacDougall, who was a spokesperson for former prime minister Stephen Harper, urged Scheer to "delete and try again." "Name the place of worship. Name their religion. Put your arms around them. Condemn the specific pathology that drove their killer(s)," he tweeted. Scheer issued a longer statement a few hours later, saying the Conservative Party "stands with our Muslim brothers and sisters to ensure that they remain this way." "Houses of worship, like the two mosques attacked last night, should be places where all people can meet freely and without fear," it reads. Global Affairs Canada said there have been no reports of any Canadian citizens involved in the shootings. "We are working closely with local authorities and stand ready to provide consular assistance to Canadian citizens as required," said spokesperson Richard Walker. Canada's 2018 public terrorist threat report flagged the rise in right-wing extremism, which the report said includes "anti-government and anti-law enforcement sentiment, advocacy of white nationalism and racial separation, anti-Semitism and Islamophobia, anti-immigration, male supremacy and homophobia."